← Should The Left Worry about Rahm Emanuel? Abbas and Livni at the 2006 World Economic Forum. According to a report posted on TimesOnLine, President Elect Barack Obama has set in motion a plan that could dramatically affect the Israel-Palestinian peace track. Obama’s election gives him a mandate to move swiftly to find a solution for the unrest in the Middle East. The Israel-Palestinian track is central to dealing with that unrest. The London report, posted Sunday, reveals that Obama’s “ambitious peace plan in the Middle East” involves “the recognition of Israel by the Arab world in exchange for its withdrawal to pre-1967 borders”. Presumably, this would entail borders with “adjustments” around Jerusalem. The Arab peace plan received a boost last week when President Shimon Peres, a Nobel peace laureate and leading Israeli dove, commended the initiative at a Saudi-sponsored United Nations conference in New York. A bipartisan group of US senior foreign policy leaders has called on President-elect Obama to revive the Saudi plan, which languished after its introduction in 2002, thanks to Israeli right wing opposition and President Bush’s unwillingness to oppose Israel on any position. The leaders included Lee Hamilton, the former co-chairman of the Iraq Study Group, and Zbigniew Brzezinski, a Democrat former national security adviser. Brent Scowcroft, a Republican former national security adviser, joined Hamilton and Brzezinski in asking the President-elect to get behind the Saudi proposal. He said last week that “the Middle East was the most troublesome area in the world and that an early start to the Palestinian peace process was ‘a way to psychologically change the mood of the region'”. During the campaign, Obama was cautious in discussing Israel-Palestine. But now, the election is over. He has a mandate that gives him a mantle of power with which to deal with the Israel Lobby and its neocon media supporters.
. . . Israel must withdraw from nearly all of the West Bank and East Jerusalem to attain peace with the Palestinians and that any occupied land it held onto would have to be exchanged for the same quantity of Israeli territory. Whether Obama will find support for his peace plan in the next Israeli government will depend on the outcome of Israel’s election for a new prime minister, now set for either February 10 or 17. 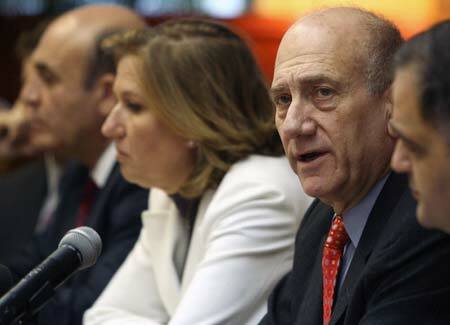 Foreign Minister Livni was chosen by the Kadima party as its new leader after Prime Minister Ehud Olmert announced he would step down to face corruption allegations. Livni’s failure to put together her own governing coalition forced a new election. She will face hard-line Likud leader Benjamin Netanyahu. 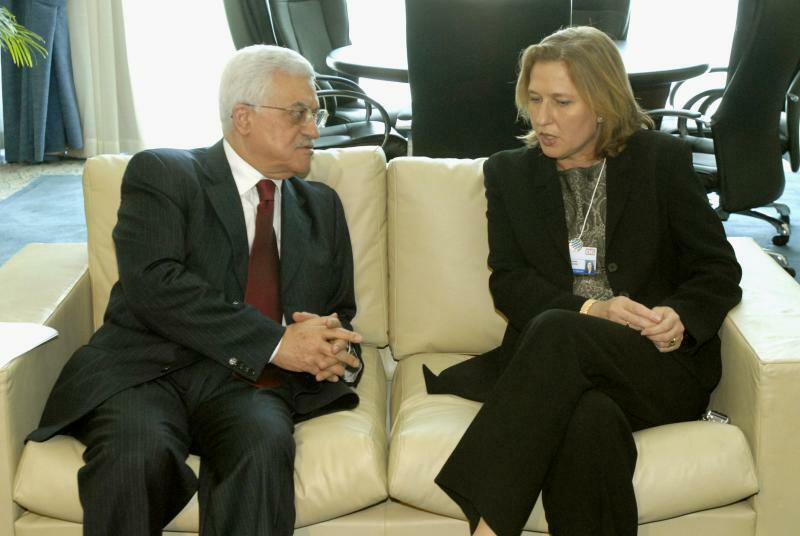 As foreign minister, Livni has acted for the past year as Israel’s chief peace negotiator with the Palestinians. She has spoken repeatedly of the need to make territorial concessions. Netanyahu, a former Prime Minister, represents the right wing bloc in Israel that opposes any end to the occupation of Palestinian territory. He also opposes any partitioning of Jerusalem, a key Palestinian demand. Obama’s plan will have a better chance of success with a Livni government. Most of the progressives’ discussion of the Obama team has involved anxiety over the appointment of Rahm Emanuel as Chief of Staff and the possible appointment of Hillary Clinton as Secretary of State (which still seems a long shot). A Secretary of State and a Chief of Staff who are both Israeli supporters”? What could that mean to those concerned for peace and justice that benefits both Israel and the Palestinians? The answer could lie in Obama’s desire to have experience and competence on his team, as well as a desire to bring to the peace talks table trusted faces that would comfort Israeli officials who will not go easily into that dark night of giving up most of Judea and Samaria. Phillip Weiss, who writes the Mondoweiss blog, learned about the TimesOnLine report from another of my internet colleagues, Chicago-based Rupa Shah, who provides daily links to pertinent Middle East postings. Rupa also alerted me to the posting. Weiss asked Walt about recent shifts in Israeli and US public opinion since the book’s publication in 2007. An earlier article on the Israel lobby by the co-authors of the book appeared in the New York Review of Books in 2006. Amy Goodman discussed the original NY Review article in a Democracy Now television interview in 2006. A You Tube copy of that interview offers a good summary of the article that became a book. I’m trying to keep an open mind on where we are headed. My views have been somewhat similar to Juan Cole’s [re Rahm Emanuel]: what matters is not what somebody did or said in the past, I just want to see what they do now. My concern is that I don’t think we get to a two-state solutionwithout a lot of US pressure on both sides–and I mean pressure more emphatic and direct than even Bush and Baker employed–and I don’t see anyone on the horizon who will do that. . .
. . .I am by nature something of an optimist, although I like to think it has been tempered by experience by now. It comes down to a simple question: do Obama, Emanuel, and whoever else they appoint realize that being “pro-Israel” today means openly opposing the occupation and using American influence (and leverage) to reverse (not just halt) the settlement project and bring about a viable Palestinian state? Until recently, being”pro-Israel” or a “friend of Israel ” was interpreted to mean giving unconditional support and never voicing the slightest criticism. I used to think the bad guys would win for as far into the future as I could see. But I am not so sure any more. The internet changes things so much, because it makes it possible for the Phil Weiss’s of the world to reach a huge number of people. The lobby simply cannot dominate the discourse the way it used. Jim: Let’s hope that the report on TimesOnLine about an ambtious Obama peace plan in the Middle East (utilizing the 2002 Saudi peace initiative, or indeed any constructive peace plan) proves to be correct. It is so long overdue by America to take a meaningful lead for peace in that 60 year old war.